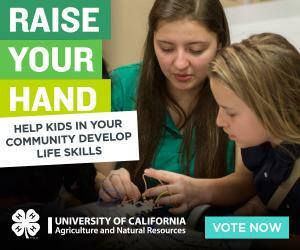 4-H created the “Raise Your Hand” initiative - a nationwide call-to-action for 4-H alumni, supporters, and friends to vote for their state to win funding to help more kids in their communities benefit from 4-H hands-on learning programs. The three states with the highest percentage of their population raising their hands will receive $20,000, $10,000 and $5,000 to bring local 4-H programs to more kids. The state with the highest increase in hands raised over last year will receive an “Inspire Kids to Do” photo shoot, coordinated and supported by National 4-H Council to help tell the story of their local changemakers! Drawing at the end of the campaign for 15 states to win a $1,000 JOANN gift card. The more people raising their hands for your state, the more chances for your state to win! Grow our 4-H community, supporting access for all youth to 4-H skill-building, hands-on learning programs. Engage 4-H alumni, friends, and supporters to help spread the word about the benefits of 4-H skill-building programs for kids and the community. Grow awareness of the life-changing impact of 4-H youth development programs. Please join us and Raise Your Hand, because every child deserves a chance to succeed.